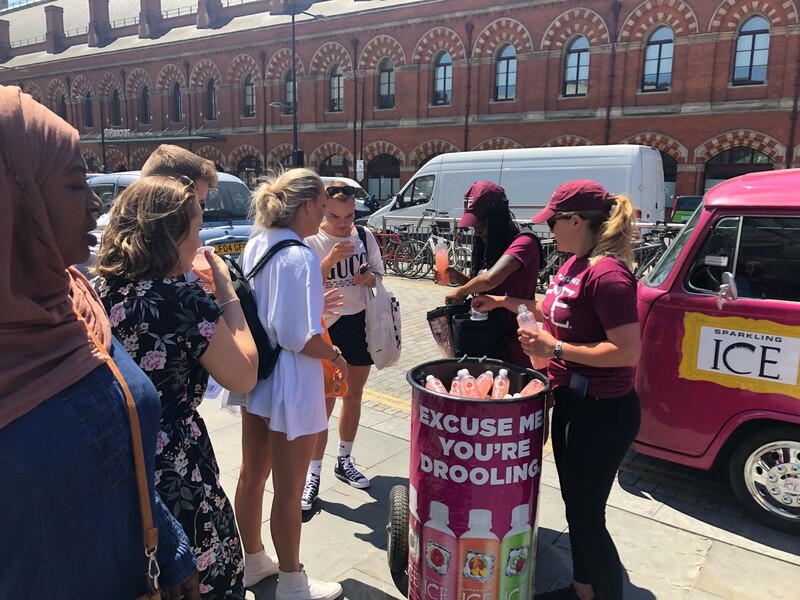 Talking Rain’s Sparkling Ice has kicked off its summer sampling roadshow in London through a campaign of roaming sampling in some of the city’s busiest high streets. 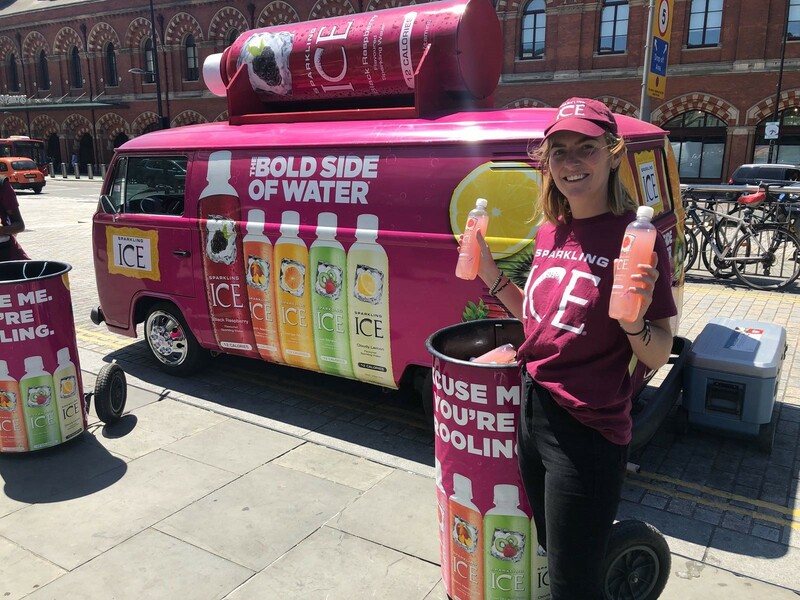 Sparkling Ice – which is fast becoming a leading flavoured sparkling water – is planning on creating a splash across a number of locations during the roadshow with its sights set on Birmingham, Manchester and Glasgow. 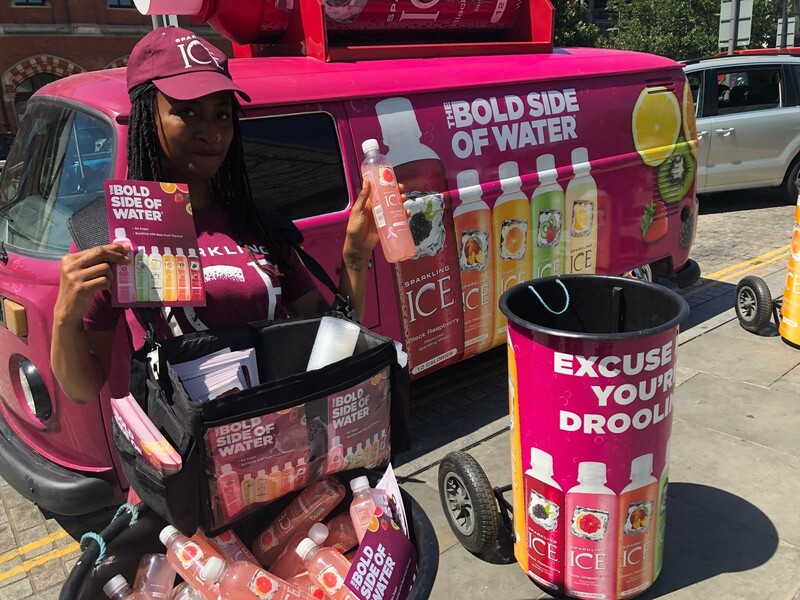 Over the course of July though to 9 August, the Sparkling Ice team will be keeping consumers hydrated with thousands of ice cold bottles of Sparkling Ice. The tactical campaign will see the roadshow team working with leading retailers, charity and fitness events to promote the popular beverages’ blend of natural flavours, fruit juice and vitamins B and D, offering a lifestyle-led drink with no compromises in six refreshing flavours; Black Raspberry, Cloudy Lemon, Kiwi Strawberry, Orange Mango, Peach Nectarine and Pink Grapefruit.